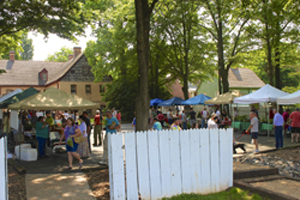 Cobblestone Farmers Market opens for the 2019 season on April 6 in Old Salem. Once on the cobblestones at Third Street and Patterson (across the street from Krankies Coffee), but today the market sets up on Saturdays at Old Salem from 9AM-noon. 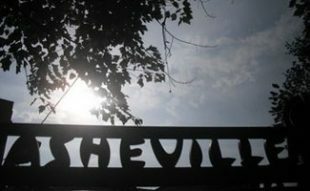 Many have eagerly awaited the reopening of this all-local, producers-only market that features mostly organic farmers and all are screened for sustainable, healthy and humane practices. Operated by Cultivate Piedmont, a program of the Carolina Farm Stewardship Association, Cobblestone Farmers Market is the only farmers market that accepts EBT and WIC Farmers Market Nutrition Program, and matching funds are available. Cobblestone Farmers Market At Old Salem! Can’t get to Cobblestone Farmers Market on Wednesdays? 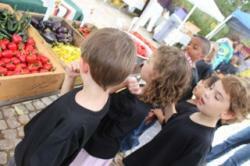 Now you can enjoy fresh local produce, meats and eggs in beautiful historic Old Salem Saturdays from 9am-noon. Old Salem Cobblestone Farmers Market was voted #11 best farmers market in America by U.S. News Travel. Find unexpected treats at this market, like fresh gelato and live music from musical guests such as the Twin City Buskers. Old Salem Cobblestone Farmers Market is located adjacent to the Single Brothers’ Garden and behind T. Bagge Merchant. An ATM is available. In its first year, 2012, the opening day of the market had over 1,600 visitors! We are so excited about the restoration of the traditional food system in our community. Support local farmers! Get there early for fresh eggs and the best selection. Don’t forget to turn in your empty egg cartons to recycle them and help the farmers even more. For a full list of area farmers markets, click here.